We have developed a great new beta trainer. Go to downloads! Penguin Storm 7 full version is out, click here to download it. You can also post bugs here. Microchip 123 is developing the new Penguin Storm 7 and he has already released a 2 beta versions. You can download the newesthere. If you choose the .EXE file it is more easy to install(created for begginers). After changes to club penguin's load swf all Trainers stopped working. Penguin storm 6.1 is the fixed new trainer. Watch the video below,too. The trainer can be downloaded from here. 23/04/09 - Edited some code. 25/04/09 - Added stop disconnect. 25/04/09 - added penguin band to menu. 05/05/09 - buddy deleter bot added. 19/05/09 - If no message the option will not show on menu bar. 19/05/09 - Edit name now changes playercard name. And for this version every line was changed because of the cp update! If you meet DJ Cadence you can get her backround. If you don't want to search for her and you are a member you can put the id 9015 on Penguin Storm or whatever. CP Revolt is another trainer for club penguin. With this program you can do more hacks than Penguin Storm as the swf hack.BUT BE CAREFUL NOT TO GET BANNED!!! 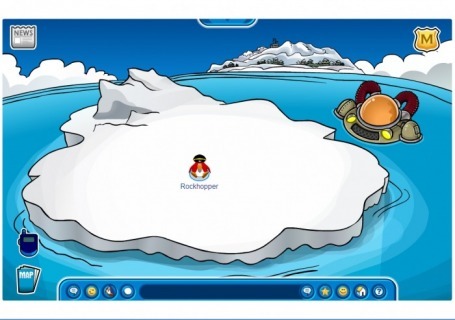 Do you always try to find Rockhopper to get the free autographed backound and you cannot find him ? But now with ''Penguin Strorm'' you can get it without finding Rockhopper!That's so cool, isn't it? WARNING:USE THIS HACK ONLY IF THE PIRATE SHIP IS DOCKED AT THE BEACH, OR YOU WILL GET BANNED! 4.Go to the ''buy item'' menu. 5.Click to enter an id. 6.Fill the blank with 959. 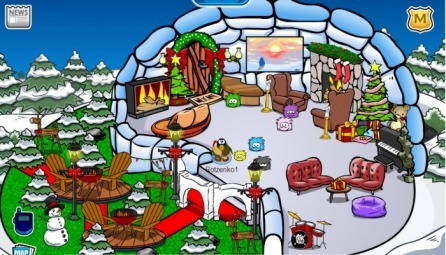 8.CONGRATULATIONS!YOU HAVE THE ROCKHOPPER'S AUTOGRAPHED BACKROUND!